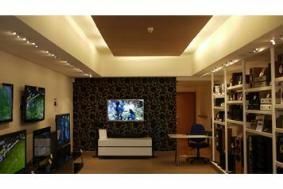 Sevenoaks opens new store in Weybridge | What Hi-Fi? The new Weybridge outlet will offer a range of hi-fi and home cinema products, along with professionally installed multi-room systems, lighting and furniture. The store will also offer 3D demos of the latest TVs from Panasonic, Sony and Samsung, along with high-end audio solutions from brands such as Cyrus, B&W and Monitor Audio. Rob Lawley, Sevenoaks' group operations manager, says: "As with all our stores Weybridge will offer advice on and installation of exciting new media and streaming solutions such as Sonos." Recently Sevenoaks announced it was joining forces with Audio-T to create a network of more than 50 specialist hi-fi/AV stores across the UK.